Marshall M. Fredericks Sculpture Museum | "Portrait of Michael Emmet Taylor"
The Vice President of General Motors, Chevrolet division commissioned Fredericks to do this full-length portrait of his grandson, Michael Emmet Taylor. When brought to Fredericks’ studio for his portrait sitting, young Michael held a small ball in his hand. The youngster kept playing with the ball so Fredericks included it in the portrait. 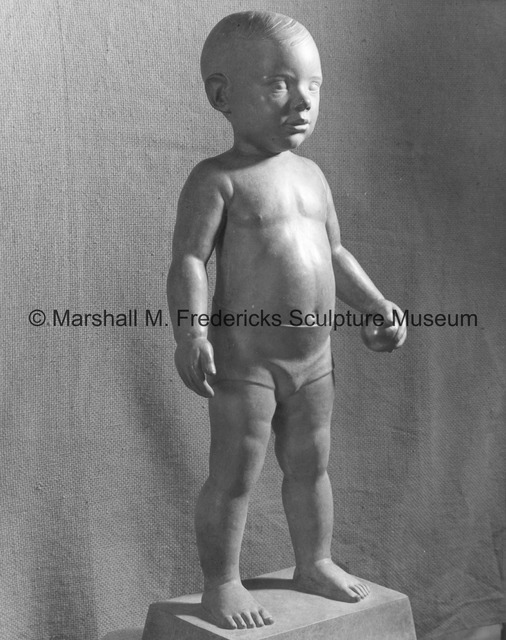 “"Portrait of Michael Emmet Taylor",” Marshall M. Fredericks Sculpture Museum, accessed April 25, 2019, http://omeka.svsu.edu/items/show/2822.